by Kay Charter – Twenty years ago, the state of Texas released a birding trail map for the center section of the Gulf Coast. The map was the first of its kind in the country, and the first of what would eventually be fifteen regional maps that would encompass every part of the state. That same year saw the launch of the Rio Grande Valley Birding Festival, with more than 750 people attending the inaugural event. Today, birders who attend the Rio Grande Valley (and other) festivals, and those that use the maps bring more than $300,000,000 into the state’s coffers. After publication of that first map, other states followed Texas’s example and developed their own birding trail maps. Our state has the seventh most wanted bird on the country – the Kirtland’s Warbler, but we are in the bottom five bringing in outside birders. Those numbers represent a missed opportunity for Michigan to capitalize on the economics of birding. An initiative several years ago to develop a birding trail map in Michigan never got off the ground, but last year two regional maps were launched: The Sleeping Bear Birding Trail and the Saginaw Bay Birding Trail. When birding trails first popped up around the country, there was no way of knowing how many birders were actually using them. But with the establishment of Cornell Ornithological Labs’ online listing service, eBird, it is now possible to track those numbers. After the Sleeping Bear Birding Trail website went up, eBird entries for the area rose 62% over the previous year. A physical headquarters for the trail opened in June. During the first three months, more than 700 people visited to learn more about it. In late October, the website was still attracting more than fifty visitors a day. Last month, a third trail was added to the state’s list with the launch of the Beaver Island Birding Trail website. Information collected from birders at the Island’s Visitors Center will provide soft data on the numbers of people checking out the birding opportunities there. Firmer numbers will be drawn from their eBird/BirdTrax entries. In 2010, I was invited to present a program on the Island during their Forest Symposium, and I have visited several times each summer since. Because there are fewer invasive plants, the island has a rich population of migrating and breeding songbirds. 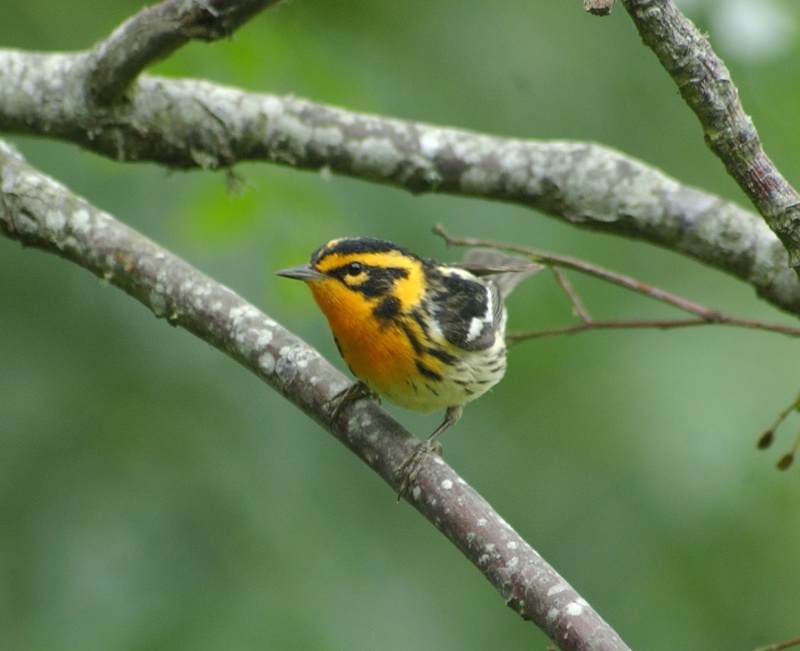 In spite of its relative small size – it’s only 14 miles long – the Island supports a rich variety of habitats, and it hosts nineteen species of breeding warblers. This fact alone will attract a significant number of birders. Bird watching on Beaver Island will be of major interest to birders from spring migration in May through fall migration in September and October. Winter rarities may also attract birders. The influx will provide the Beaver Island economy with significant revenues from new birding visitors. This new trail will be dedicated during a Memorial weekend event, a time when hotels and motels typically have many empty rooms. But this dedication is expected to bring in many birders, who will spend an average of $500 each for accommodations and food, thus providing the Island economy with an increase in revenues.